October 2013 | Matcor, Inc.
A proposed $3.5 billion natural gas pipeline took a leap forward last Thursday and by 2017 is expected to be providing fuel to run Florida Power and Light Co.’s plants. Florida’s two pipelines, the Florida Gas Transmission pipeline, and Gulfstream pipeline deliver gas primarily from such offshore areas as the Gulf of Mexico. The pipeline’s northern 465 miles is a joint venture of Houston-based Spectra Energy subsidiary Sabal Trail Transmission and a newly formed subsidiary of Florida Power and Light’s parent company, NextEra Energy Inc., called U.S. Southeastern Gas Infrastructure LLC. The southern 126 miles, known as Florida Southeast Connection, is a subsidiary of NextEra. The pipeline will travel through four Alabama counties, eight Georgia counties and 13 Florida counties. It will end at Florida Power and Light’s Martin County plant near Indiantown. The new pipeline will connect to FPL’s new plants under construction in Riviera Beach and Hollywood. Commissioner Eduardo Balbis said the pipeline will help mitigate supply interruptions and price fluctuations. It’s also a plus that the cost is $450 million below that of other options. The project is projected to create more than 6,600 jobs. Jeff Householder, president of Florida Public Utilities Co., said the additional gas supplies, especially the cheaper shale gas, are needed for the state’s growth and economic development. He expects his company and others will build lateral lines from the pipeline. Florida Power and Light has signed agreements with the two entities that will own the new pipeline for an initial 400 million cubic feet per day beginning in 2017 with an option for an additional 200 million cubic feet in 2020 and later. The project approved Thursday differs from a proposal the PSC rejected in 2009 when Florida Power and Light sought to build the 280-mile Florida EnergySecure Line itself. The pipeline must be approved by the Federal Energy Regulatory Commission and other federal and state agencies. It would give the state 25 percent more natural gas capacity. As we reach the home stretch of 2013, well drilling continues to advance at a strong pace, thanks to improvements of drilling technology. Advanced horizontal and directional drilling has opened a range of possibilities for energy companies and local economies. Along with the improved drilling technology, MATCOR has helped advanced the cathodic protection technology for wells. Properly configured deep well anode systems are an integral portion of reliable cathodic protection wells. For deep well anode systems, which output less than approximately 75 amps, MATCOR has designed the Durammo™ continuous mixed metal oxide (MMO) wire anode systems to provide second-to-none value for those in need of high-quality cathodic protection systems. Here, several individual anodes are placed a minimum of ten feet apart throughout the system in order to avoid mutual anode interface effects. In this configuration, it is not abnormal to have 10 or 15 discreet anodes throughout the system (old technology). In MATCOR’s deep anode assembly system, Durammo™, a continuous wire that is fed from a cable at each is used in lieu of many individual anodes. In order to create electrical redundancy, factory connected jumper cables are installed to the wire anode every ten feet. This arrangement effectively eliminates risk of mutual anode interference. Additionally, MATCOR’s Durammo™ Anode System is made with MMO as opposed to graphite or high silicon cast iron to create a light, stable anode that has the capability of operating at higher current densities. They also use MATCOR’s Super-Vent™ pipe assembly to enhance overall venting capability and cabling with a chlorine-resistant PVDF layer for protection. Overall, for deep well systems with outputs under 75 amps, MATCOR’s Durammo™ technology provides superior value through several performance enhancements and greater longevity. 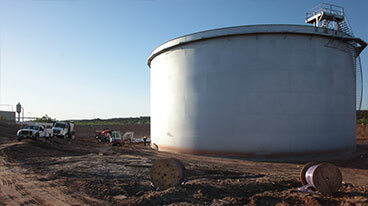 To learn more about MATCOR’s Durammo™ continuous anode system contact MATCOR or learn more about MATCOR’s other cathodic protection products. Spectra Energy has more than 3.3 bcfd of US natural gas pipeline expansions under way, with another 4 bcfd of capacity in development. Spectra Energy projects currently under way include the New Jersey-New York Expansion Project, Texas Eastern Appalachian Market (TEAM 2014), Kingsport Projects, Ohio Pipeline Energy Network (OPEN), Algonquin Incremental Market (AIM Expansion), and Sabal Trail Transmission LLC. The 800-MMcfd NJ-NY Expansion will extend Texas Eastern’s reach further into New Jersey and into New York City for the first time, connecting Marcellus shale supplies in northeastern Pennsylvania with a delivery point in Manhattan. Customers of the $1.2 billion project include Chesapeake Energy Corp., Consolidated Edison, and Statoil Natural Gas. Spectra Energy expects the project, currently 95% complete, to enter service next quarter. Construction includes 15.9 miles of 30-in. OD pipe extending from Staten Island to Manhattan. TEAM 2014 (600 MMcfd) will deliver gas from Marcellus producer customers to the northeast, Midwest, and Henry Hub markets. Customers include Chevron Corp. and EQT. 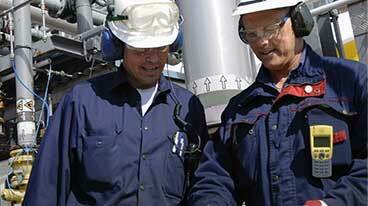 Spectra Energy expects TEAM 2014 to enter service fourth-quarter 2014 at a cost of $500 million. Preliminary construction includes 33.5 miles of 36-in. OD loop at seven sites at four compressor units with a total 77,000-hp net addition. Spectra Energy’s Kingsport projects will provide additional supplies to Eastman Chemical Co.’s power generation plant in Kingsport, Tenn. Spectra Energy expects to have 25-MMcfd of expanded capacity operating by next quarter, with an addition 61 MMcfd in service by first-quarter 2015. The $120 million project includes replacing 5.8 miles of 8-in. OD pipe with 24-in. pipe on the East Tennessee pipeline and installing 5.4 miles of 16-in. loop and 4.1 miles of 16-in. pipe between the Fordtown compressor station and the Eastman plant. OPEN will deliver 550 MMcfd of Ohio Marcellus and Utica shale gas to US Gulf Coast and east coast markets. The $500-million project is underpinned by anchor shipping agreements with Chesapeake Energy Marketing and another producer. The projects features 73 miles of 30-in. OD pipe the Kensington gas processing plant in the Utica shale to Texas Eastern’s Clarington compressor station. A new 18,800-hp compressor station will be added along this line, with 5 existing Texas Eastern stations totaling 139,450 hp reversed to east-west flow. All components are expected to be operational by second-half 2015. The AIM Expansion will move 300 MMcfd of Marcellus production from the Stoney Point compressor station to the Algonquin City Gate outside Boston. At an estimated cost of $850 million, Spectra Energy expects the project to enter service second-half 2016 serving customers such as UIL Holdings, National Grid, NiSource, and Northeast Utilities. Additional horsepower at almost every compressor station and expanding portions of the line to 42-in. OD from 26-in. will provide the additional capacity. Sabal Trail Transmission LLC is a joint venture of Spectra Energy and NextEra Energy Inc. to deliver more than 1 bcfd via 480 miles of 36-in. OD greenfield pipeline from Transco Station 85 to the Central Florida Hub. Florida Power & Light is the charter customer, with others expected before the $3 billion project enters service first-half 2017. The pipeline will include five compressor stations totaling 210,000 hp. Uniontown to Gas City (U2GC), Appalachia to Midwest, 425 MMcfd, in-service second-half 2015. South Louisiana Expansion (Sola), expand Texas Eastern to South Louisiana industry, 600 MMcfd, first-half 2016. Gulf Markets Expansion, Texas Eastern to US Gulf Coast, 650 MMcfd, second-half 2016-17. Renaissance, Appalachia to Northern Georgia-Atlanta, 1.3 bcfd, first-half 2017. NEXUS, Appalachia to Eastern Canada local distribution companies and power markets, 1 bcfd, second-half 2017.